Saudi King Salman embarked on an unprecedented domestic tour on Tuesday as the country grapples with an international crisis over the murder of journalist Jamal Khashoggi. 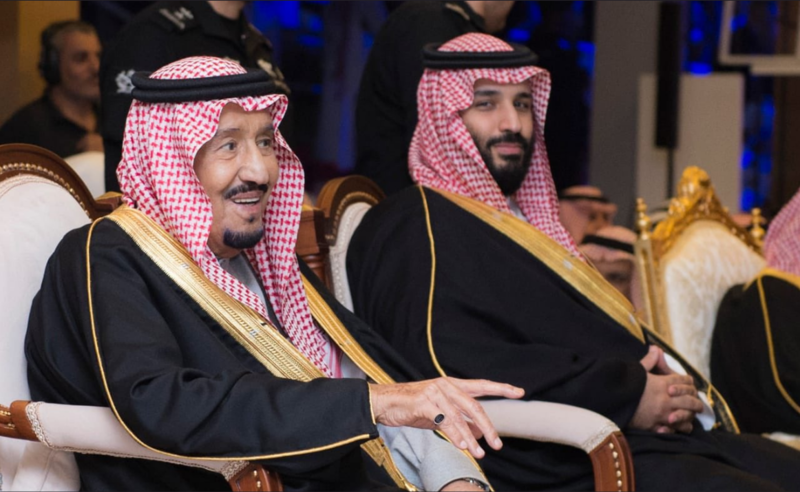 The 82-year-old monarch was joined by Crown Prince Mohammed bin Salman in the central province of Qassim, according to state television, as he started what Saudi media dubbed a tour of "several regions" in the kingdom. The king was also set to visit the northern region of Hail in his first such tour since he ascended to the most powerful throne in the Middle East in 2015, the pro-government Sabq newspaper reported. Saudi Arabia's state-run news agency SPA has tweeted several dozen pictures from the tour which show the king and crown prince meeting regional officials. In Qassim, the king will launch health, education and infrastructure projects as well as check on "the conditions of citizens and get acquainted with their needs", the Saudi Gazette newspaper said. It was unclear whether Prince Mohammed will accompany him for the remainder of the tour, which comes as Saudi Arabia faces international outrage over Khashoggi's murder on October 2 in its consulate in Istanbul. After first insisting Khashoggi left the consulate unharmed, Saudi authorities said he was killed in an argument that degenerated into a brawl before finally accepting what Turkey had said virtually from the start -- that he was killed in a premeditated hit. It is widely seen as the worst diplomatic crisis facing the kingdom since the September 11, 2001 terrorist attacks on the United States. The murder has tainted the global image of 33-year-old Prince Mohammed -- the de facto ruler and heir apparent -- even though the kingdom strongly denies he was involved. Saudi rulers appear to be shoring up support domestically, including within the royal family, following the crisis. King Salman last month ordered the resumption of annual bonus payments to all government workers from the beginning of next year. The bonuses had been suspended under austerity measures in 2016 amid low oil prices. In recent weeks, Saudi nationalists have sought to rally around the prince with adulatory poems and songs on social media, as local officials have dismissed the Khashoggi crisis as a Western conspiracy. © 2018 AFP. All Rights Reserved. This material may not be published, broadcast, rewritten, or redistributed.